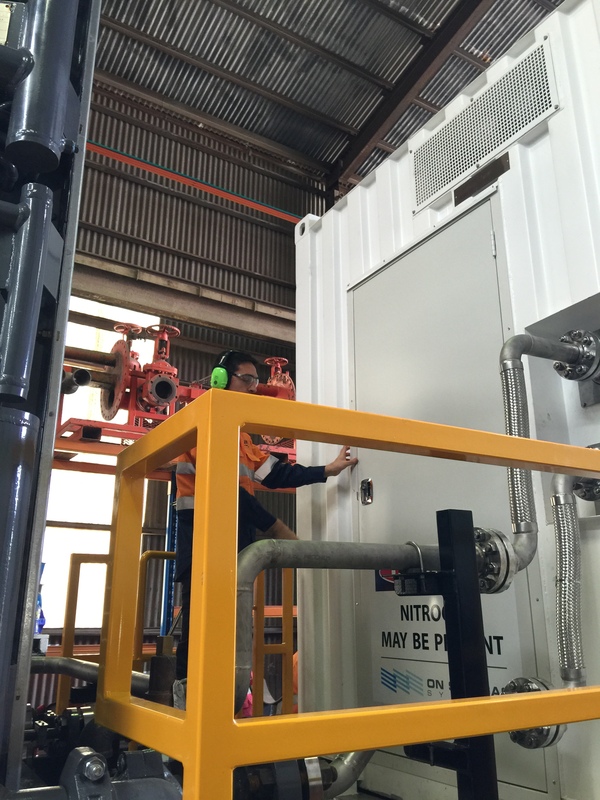 Contract Resources, a leading oil and gas services company were searching for a supplier capable of building a highly specialised and customised nitrogen system. 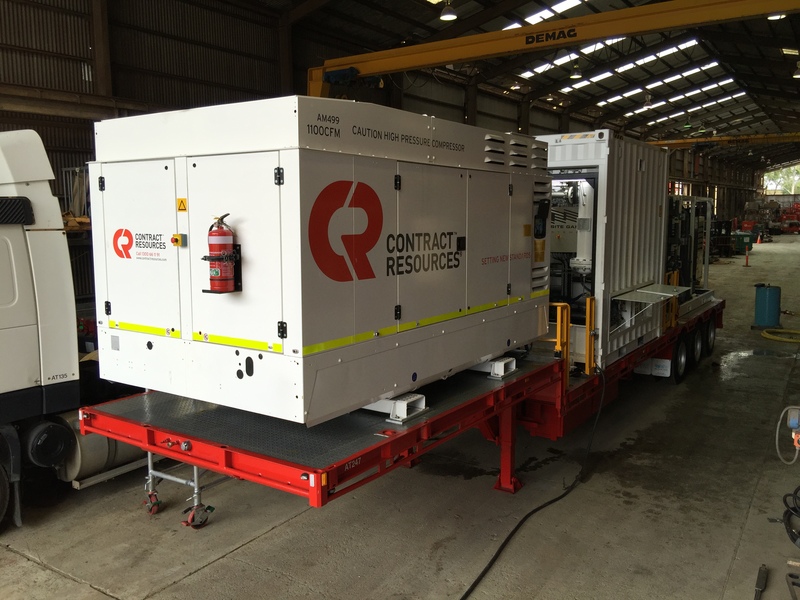 OSGS was commissioned to build Contract Resources a 45ft trailer mounted package delivering approx. 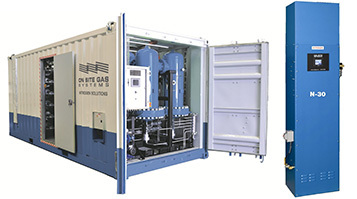 800 CFM nitrogen at 95% up to 5,000 PSI. 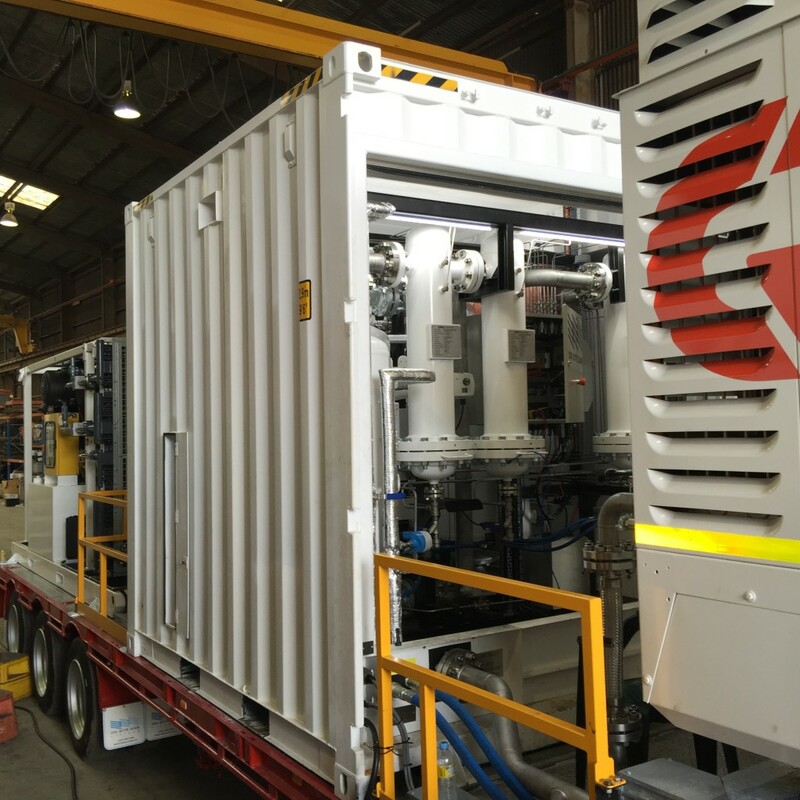 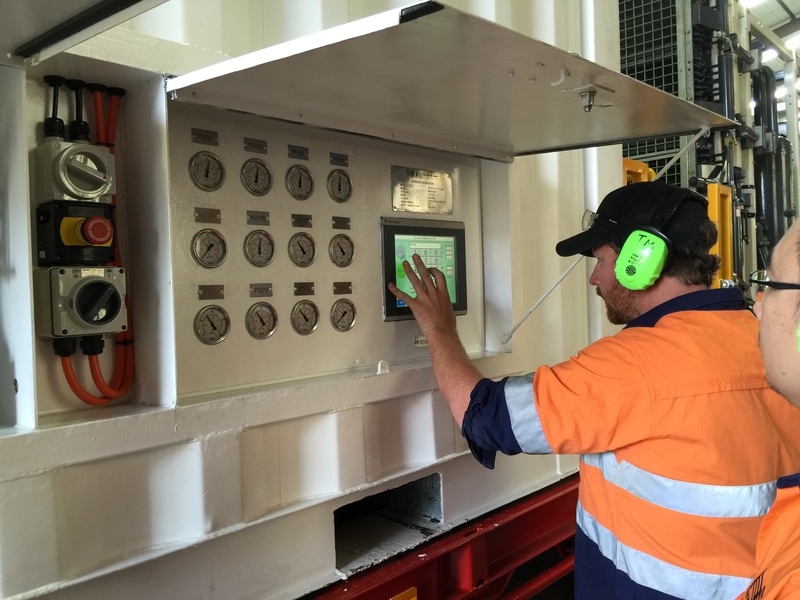 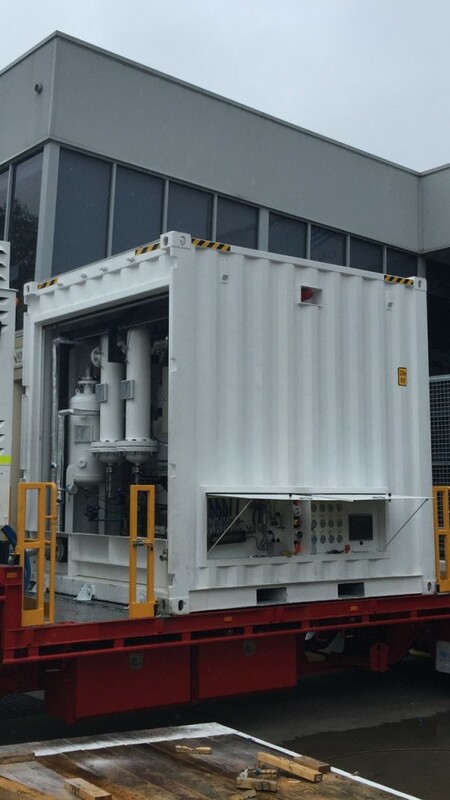 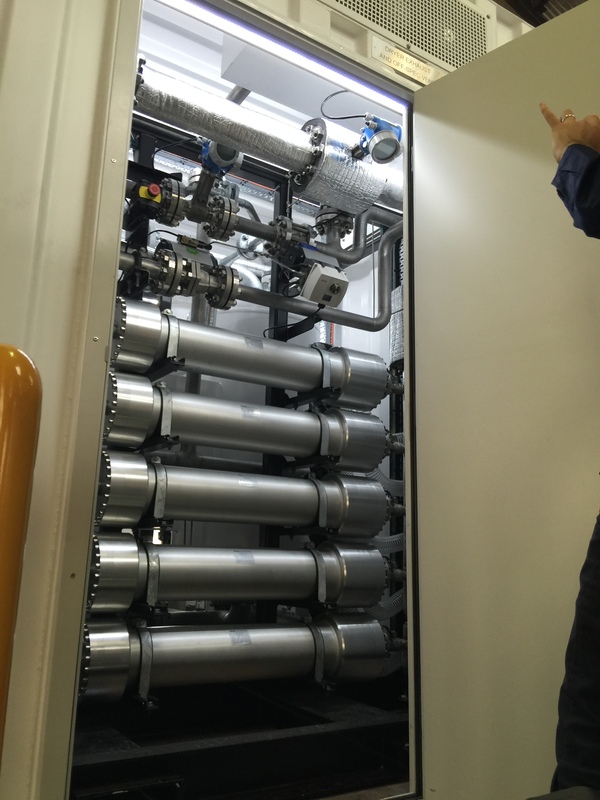 The trailer is fully automated , controlled from the OSGS main controller on the container including control of the compressors and has the ability to flow nitrogen directly at 350 PSI , or via the booster at an elevated pressure set by the operator. 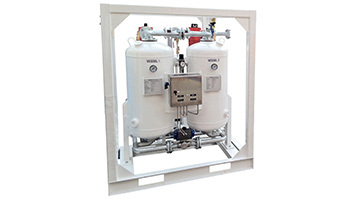 The flow and purity is controlled by the operator at the main package controller. 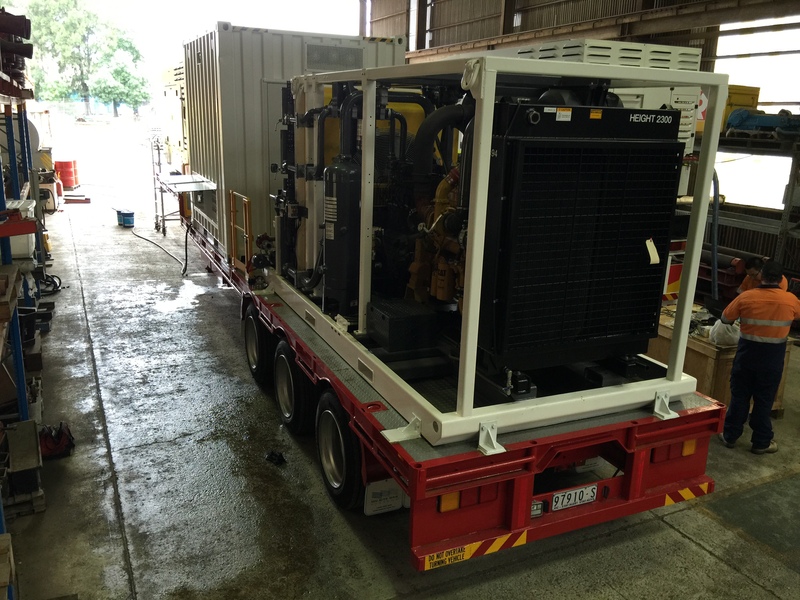 The trailer is fully turn key and requires only diesel to feed the compressors.